MailScan for 1st Up Mail Server is the world's first "Real-Time" e-mail scanner for the 1st Up Mail Server. It acts like a Content-Security and AntiVirus Software for your Corporate 1st Up Mail Server. It scans and clean e-mails that: A) Flow between all local users. B) Go from your 1st UpMailServer to the Internet. C) Come into your 1st UpMailServer from the Internet (through SMTP or POP3). MailScan is the *only* product available in the world that works transparently on both SMTP and POP3 traffic. It is the world's first real-time, e-mail Content-Security and AntiVirus software that analyzes e-mails on real time basis *before* they are delivered to your clients or servers. Both SMTP and POP3 are supported. A new layer, called the MicroWorld Winsock Layer (MWL), is placed between the default WinSock2 and the applications. This layer analyzes traffic that flows between 1st UpMailServer and the Internet or your applications. AntiVirus and Content-Checking are some of the key benefits offered by MailScan. It also has a Generic Attachment Analyzer, an automatic compression and decompression feature, a comprehensive Notification Engine and many features, not available in other products. 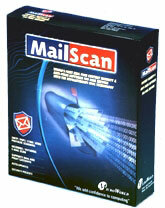 MailScan uses eScan Content-Security and AntiVirus, to scan all e-mails attachments. Incoming and outgoing e-mails are scanned and cleaned for viruses and the contents checked, before the email server processes them. All MailScan processes are multi-threaded. This ensures that all emails are parallely processed. USPs offered by MailScan are: 1. No port settings or changes need to be done inside 1st UpMailServer. 2. No dedicated Gateway machine is required for using MailScan. MailScan works with 1st UpMailServer on the same machine. Support - 24 X 7 Free Online Support. This site does not contain serial number, crack, keygen MailScan for 1st Up Mail Server serial number : serial number is the simplest type of crack. A serial number(cdkey,product key,etc) is register the program as you may already know. a crack or keygen may contain harmful software. If you cannot find the exact version you want, just give it a try. for more information read .nfo/.txt/.diz file include in zipped file.